Heute ist die Welt wieder in einer kritischen Lage. Wir brauchen einen echten Neuanfang. Aber diesmal halten wir es f?r notwendig, sich auch mit den philosophischen Wurzeln der schlimmen Weltlage auseinanderzusetzen. Wir m?ssen die Legitimit?t des materialistischen Egoismus infrage stellen, welcher ja als wirksamster Antrieb unserer Welt dargestellt wird. Wir sind dankbar f?r Papst Franziskus’ Enzyklika ?Laudato S?, in der er eine tiefer liegende Krise der Werte anspricht ? 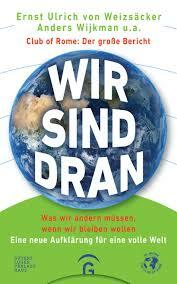 wie es der Club of Rome seit langem tut. Die Zeit ist reif f?r eine neue Aufkl?rung, finden wir, oder f?r andere Wege, die heutigen kurzfristigen Denkgewohnheiten und Handlungen abzul?sen. Wir sehen mit Freude, wie die Vereinten Nationen ihre Agenda 2030 und die 17 Entwicklungsziele der Nachhaltigkeit f?r die kommenden 15 Jahre verabschiedet haben. Jedoch k?nnen wir die Sorge nicht von der Hand weisen, dass die Welt in 15 Jahren ?kologisch noch viel schlechter aussieht, wenn man die zerst?rerische Wirkung eines rein materialistischen Wachstums nicht b?ndigt. Wir begr? ?en daher ausdr?cklich die Initiative unserer derzeitigen Ko-Pr?sidenten, einen neuen und ehrgeizigen Bericht auf den Weg zu bringen, der das Menschheits-Dilemma aus der heutigen Sicht angeht. 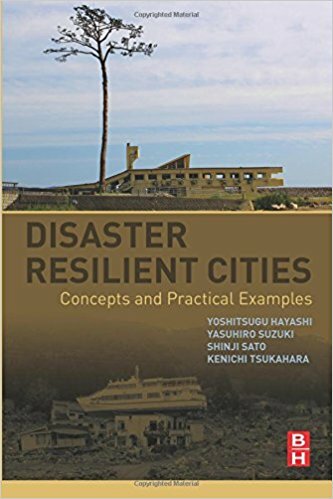 Disaster Resilient Cities: Concepts and Practical Examples discusses natural disasters, their complexity, and the exploration of different ways of thinking regarding the resilience of structures. The book provides a blueprint for structural designers to better prepare structures for all types of natural hazards during the design stage. 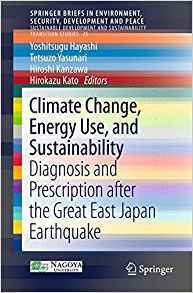 Brief and readable, this book analyzes various examples of disaster damage from earthquakes, tsunamis, and floods, together with their causal mechanisms. Practical methods to plan and design structures based on their regions, cities, as well as the particular countermeasures are also included for study. While intercity passenger transport counts for about 2% of the total passenger transport volume the share of the total passenger kilometers traveled is estimated more than one third. In many countries the major part of intercity transport is performed by car and air and as a result, the contribution to the carbon footprint is substantially higher than the share of overall passenger transport performance. This creates a challenge to develop a sustainable organization of intercity transport which requires a true joint effort of policy makers, industry sectors and households. This presupposes that all options for reducing the carbon footprint of the transport modes ? car, air and rail ? are fully exploited through modern propulsion technology, use of regenerative energy and efficient organization of transport processes. Basic conditions for meeting this requirement are an incentive compatible public framework of regulation, taxation, charging and education, the private willingness to adjust to new behavioral patterns and a consequent push of technological progress towards energy and CO2 savings. 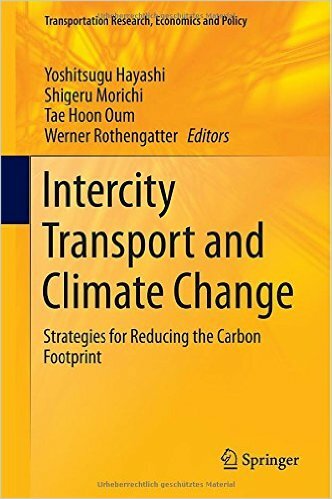 This book begins with an international comparison of intercity transport and the current state of greenhouse gas emissions (GHG) of this transport segment. A focus is given to comparing the situation in the EU, the US and Japan while describing the more recent development of intercity transport in China, followed by an analysis of intercity transport policies and their contribution to meet the global climate change issues. This book will be of interest to researchers in transportation economics and policy, as well as civil engineering and planning. Rapidly increasing motorization has environmental consequenses. In this light the Government of India has announced a national urban transport policy in April 2006 as an integral part of the Jawaharlal Nehru National Urban Renewal Mission (JNNURM). The draft National Urban Transport Policy (NUTP) aims at curtailing the use of private vehicles and give impetus to public transport and non-motorized vehicles.The options for this include buses on dedicated corridors, elevated sky bus and monorail systems, electric trolley buses and metro systems. 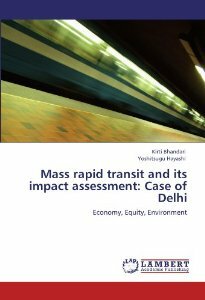 The present study focuses on metro systems and analyses the economic, equity and environmental impacts of metro systems in developing countries, taking Delhi as an example. This work is PhD thesis submitted at the Laboratory of Sustainable Transport & Spatial Development, Graduate School of Environmental Studies,Nagoya University,Japan, 2009. Yoshitsugu HAYASHI: Chapter 1. 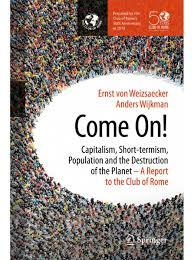 "Climate Control: The Long-Term Challenge",Chapter 6. "Japanese Efforts to Solve Environmental Problems with a Focus on the Transport Sector",Chapter 11. 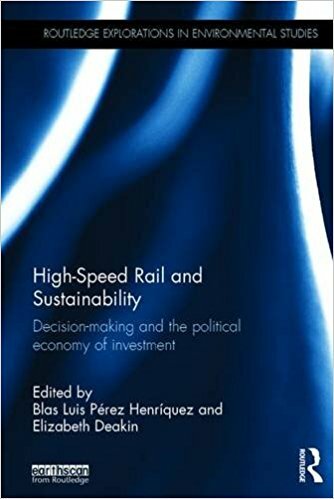 "The Role of Rail Transport for Sustainable Urban Transport",Chapter 19. "Converting the Uncoverted and Establishing"
Hirokazu KATO: Chapter 6. "Japanese Efforts to Solve Environmental Problems with a Focus on the Transport Sector",Chapter 11. "The Role of Rail Transport for Sustainable Urban Transport"
Transportation contributes to roughly a fifth of greenhouse gas emissions, and as a growing sector of the economy, its contribution to climate change, if remained unchanged, could even grow. This is particularly true in the developing world, where the growth rates of air and ship transport are expected to exceed those of the EU, and worldwide objectives to curb greenhouse gas emissions by 2050 by sixty to eighty percent could be placed in serious jeopardy. 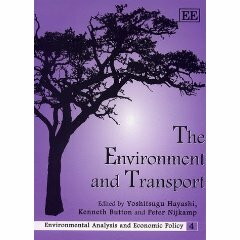 This book addresses the key issues of controlling transportation growth and identifying and implementing measures that would significantly reduce the emissions of greenhouse gases from transport while maintaining its vital role in generating prosperity and mobility for future generations. 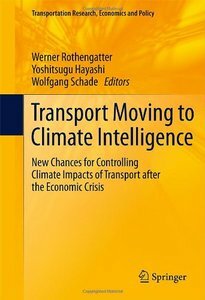 This book describes the challenge that transport constitutes today as well as its role in the future for climate policy. It will discuss and provide hands-on suggestions for transportation policy that will mitigate the greenhouse gas emissions from transport. The book is organized into five parts. Part One presents an overview of transport and climate policy in the context of the recent economic crisis. Part Two examines the problems and proposed solutions for curbing emissions from transport in industrialized countries while Parts Three and Four deal with the developing world, with a particular focus on India and China. Part Five discusses tested solutions and provides policy recommendations making this book of interest to a broad audience of both policy-makers and academics concerned with the role of transport in reducing global climate change. Yoshitsugu HAYASHI: Introduction, 6.1"Introduction", 6.2"Typical political trends relationg to transport environment policies and their transitions", 6.5"Political climate for environmental policies and international funding measures"
Hirokazu KATO: 2.4.1"Decentralisation in ther U.S., Europe and Asia", 4.9"The use of causal loop diagrams to determine the most appropriate instruments", 5.14"Nagoya", 6.2"Typical political trends relating to transport environment policies and their transitions", 6.5"Political climate for environmental policies and international funding measures", Box2"Environmental measures for the logistics sector - lessons in Japan", Box21"The air pollution lawsuits in the southern part of Nagoya"
The damaging environmental impact of urban transport, as recognised by the Kyoto Protocol to the UN Framework Convention on Climate Change, is a worsening global problem that needs to be tackled with local solutions. At the same time, urban transport has been causing serious local environmental problems, particularly in developing countries. This book was commissioned with the aim of helping to develop solutions by sharing experience from around the world. 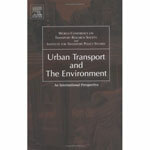 Four extensive chapters by leading researchers give an overview of the problem, analyse structures and trends in urban transportation, list the various ways transport affects the environment, and critically review the whole range of policy countermeasures available. The second half of the volume is given over to a uniquely valuable collection of case studies of 21 metropolises, carefully selected to provide a cross-section of different types of city from across the developing and developed world. The relevant characteristics of these cities are systematically described: socio-economic background; local condition of transport and the environment; policy planning, implementation, and evaluation, all with concrete examples. Key data are then presented in charts with a common structure to facilitate comparisons between cities. Yoshitsugu HAYASHI: PARTIII B 12. "Economic Development and its Influence on the Environment: Urbanization, Infrastructure and Land Use Planning Systems"
In this new authoritative collection The Environment and Transport, the editors have selected the most important articles published in the last twenty years concerning pollution, the effects of traffic on the environment and the development of controls on both a regional and national level. Yoshitsugu HAYASHI: Part A 1. "Economic Development and its Influence on the Environment: Urbanisation, Infrastructure and Land Use Planning Systems"
The coordination of transportation and land use -- which transforms both the transport infrastructure supply and the amenity of urban space -- is one of the most important research issues in urban planning today. Concurrently the issue of energy consumption in the transport sector has emerged as a crucial one. This has resulted in an important research need: the examination and identification of the influence of the mechanisms of land-use transport interaction on global energy consumption and environmental damage. 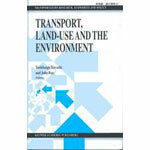 Transport, Land-Use and the Environment contains selected papers from a seminar organized by the Transport and Land Use Special Interest Group of the World Conference on Transport Research Society (WCTRS) and covers fact finding, scenario analysis and modeling. It will serve as an invaluable source for academics, practicing planners, and graduate students, especially those who want to see quantitative comparisons of the impact of alternative policies on urban and regional environments.